Waverley Council - Our town planner prepared a development objection for a site in Ramsgate Avenue, North Bondi (Waverley Council). The client wanted to make an objection to a development application (DA) right next door to install rooftop air-conditioning units. Challenges for our town planner was researching Waverley Council's Local Environmental Plan (LEP) 2012 and Waverley Development Control Plan 2012, and objecting to the amenity impacts such as loss of visual & acoustic privacy. City of Sydney Council - Our town planner prepared a development objection for a site in Mitchell Street, Alexandria (Sydney Council). The client wanted to make an objection to a development application (DA) right next door to their home for a residential apartment development. 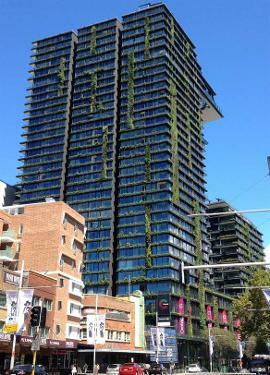 Challenges include reviewing the City of Sydney Council's Sydney Local Environment Plan 2012 & Sydney Development Control Plan 2012 and object to the significant amenity issues because of the bulk, height, setbacks, overshadowing, loss of visual & acoustic privacy etc. The most severe impacts would have been overshadowing, and loss of visual & acoustic privacy due to no setback and exceedance of the maximum number of storeys. Randwick City Council - Our town planning company prepared a development objection for a site in Close Street, South Coogee (Randwick City Council). The client wanted to make an objection to a development application (DA) for a Section 96 modification to a neighbouring property for an external staircase. Challenges for our town planner was the thorough research of planning principles set out by the NSW Land & Environment Court for privacy impacts. Marrickville Council - Our town planning consultant prepared a development objection for a site in Canonbury Rd, Dulwich Hill (Marrickville Council). The neighbour wanted to make an objection to a development application (DA) right next door to their home for alterations to an existing house for a first floor addition. Challenges for our town planner was the thorough research of Marrickville Council's Marrickville Local Environment Plan 2011 and Marrickville Development Control Plan 2011 and review the impact of the proposed development on the heritage conservation issues as well as amenity issues to neighbours e.g. bulk, height, setbacks, overshadowing, loss of visual & acoustic privacy etc. In addition, TRANPLAN requested that the DA be renotified after changes to the design is resubmitted to Council. Botany Bay Council - Our town planner prepared the town planning submission to assist the local residents to object to a development application (DA) for the development of a new boarding house in Baxter Road, Alexandria (Botany Bay City Council). Challenges for our town planner was researching and reviewing the Botany Bay City Council Local Environmental Plan 2013, Development Control Plan & Part 3 (for Boarding Houses) of State Environmental Planning Policy (Affordable Rental Housing) 2009 and making a thorough assessment of the amenity and cumulative impacts of the boarding house such as safety/security, noise/odour, parking/traffic, over-development and incompatibility with the character of the local area. Leichhardt Municipal Council - Our town planning consultant prepared a development objection for a site in Coleridge Street, Leichhardt (Leichhardt Municipal Council). The client wanted to make an objection to a development application (DA) right next door to their home for a "Fonzi Flat" (a studio above a garage). Challenges for our town planner was the thorough research of Leichhardt Municipal Council’s controls - Leichhardt Local Environment Plan 2013 & Leichhardt Development Control Plan 2013 and review the impact of the proposed development on the client's amenity e.g. bulk, height, setbacks, solar access, privacy etc. Willoughby City Council - Our town planning company prepared a development objection for a site in Cove Circuit, Castle Cove (Willoughby City Council). The client wanted to make an objection to a Section 96 Modification development application (DA) right next door to their home for modifications to a approved development. Challenges for our town planner was the thorough research of Willoughby City Council’s controls - Willoughby Local Environment Plan 2012 & Willoughby Development Control Plan and review the proposed development's (which breaches the Council's building height plane and building envelope control) and its impact on the client's amenity and solar access. Randwick City Council - Our town planning company prepared a development objection for a site in Gray Street, Coogee (Randwick City Council). The client wanted to make an objection to a development application (DA) for alterations and first floor extension to a neighbouring property and the resulting impact of view loss (ocean views). Challenges for our town planner was the thorough research of Randwick City Council’s controls - Randwick Local Environment Plan 2012 & Randwick Comprehensive Development Control Plan 2013 and the view sharing planning principle set out by the NSW Land & Environment Court in the case of Tenacity Consulting v Warringah (NSWLEC 140 – 2004). Need town planning advice for a development close to you that you want to make an objection? Contact our town planner for a FREE consultation. For a full list of recent projects by our town planning company, go to PROJECTS.